The fact that I found a bag with little green brussels sprouts at the far, far end of my fridge says a lot about my relation to this miniature cabbage. When I have them on my plate, I enjoy eating them, but if I’m not asked to cook them, they barely find their way into my pots. 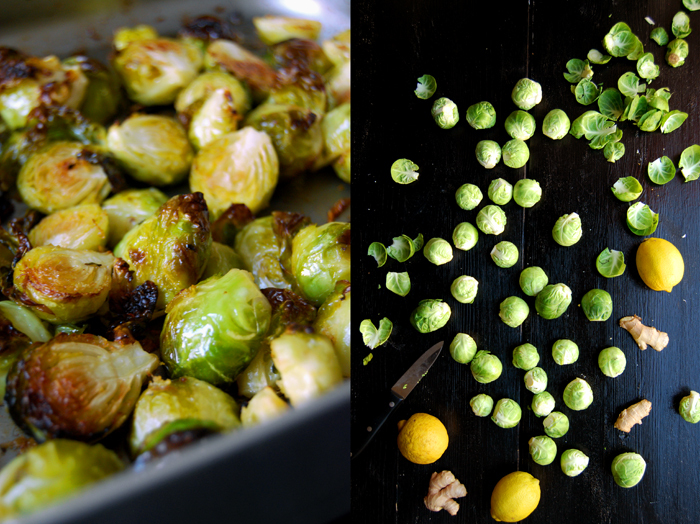 But this might change as I made a new discovery, roasted ginger lemon brussels sprouts! It’s amazing how the two lemony spices manage to turn the strong aroma of the green leaves into something new, less heavy and almost fresh. I was impressed! I often mix brussels sprouts with smoky bacon to soften their dominance, the meat’s saltiness is one of the few flavours that can handle this cabbage, but my new find is even better! 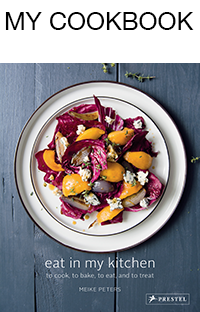 This dish is really easy to prepare, once you removed the outer leaves, the cabbages are completely coated in a strong ginger lemon olive oil and roasted in the oven for about half an hour. If you’re a big fan of these two flavours (like me) you can add a lot of grated ginger and lemon zest to the aromatic oil to give the vegetable a completely new direction. A while ago, these two aromas worked wonders in another recipe of mine, my refreshing cauliflower soup. 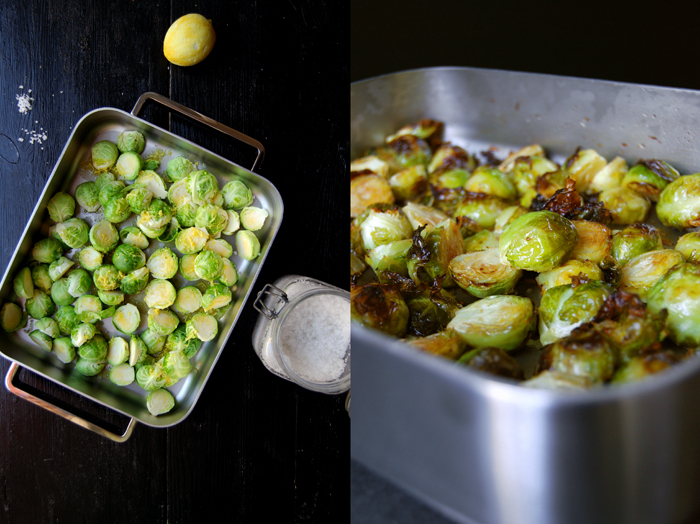 I also wanted to bring out the brussels sprouts’ sweet side in this recipe so I sprinkled them with a bit of sugar before I put them in the oven to caramelize them a little. The added sweetness fit perfectly! This makes a great side dish for poultry or Sunday roasts but also a delicious vegetarian lunch, if you’re still looking for some greens for your Thanksgiving table, here you go! Set the oven to 200°C / 390°F (I use the Rotitherm setting). Whisk the olive oil with the lemon juice, zest and ginger. 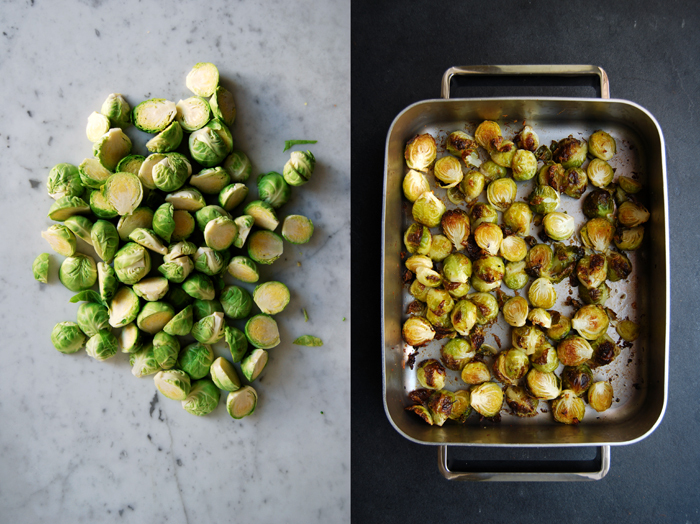 Spread the brussels sprouts in a baking dish and mix them with the aromatic oil using your fingers to coat them thoroughly. Sprinkle them with sugar and salt. 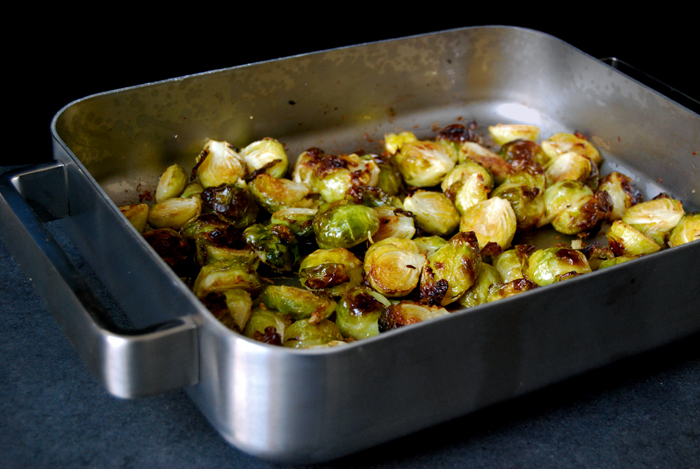 Put the baking dish in the oven and turn the cabbages with a spoon or spatula after about 10 minutes and then every 5 minutes to prevent them turning too dark. Take them out of the oven after about 25-30 minutes or when they are golden brown and al dente.